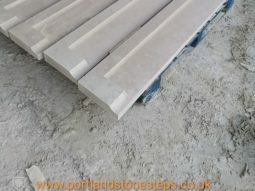 Welcome to our showcase gallery of natural stone steps crafted by our masons across the UK. We also share images taken on our travels as we complete projects, visit quarries, deliver stone and appreciate the beauty of natural stone. Our gallery is updated every week so you can follow the latest trends in London as and when we finish the projects.